Giraffes spend a lot of time with their tongues hanging out of their mouths as they try to reach leaves on the top of trees. As a result, their tongues are at risk for sunburns. Nature has provided a great solution: almost black tongues to protect them from the sun’s damaging ultraviolet rays. Like human skin, the darker the tongue, the less chance it’ll get charred . 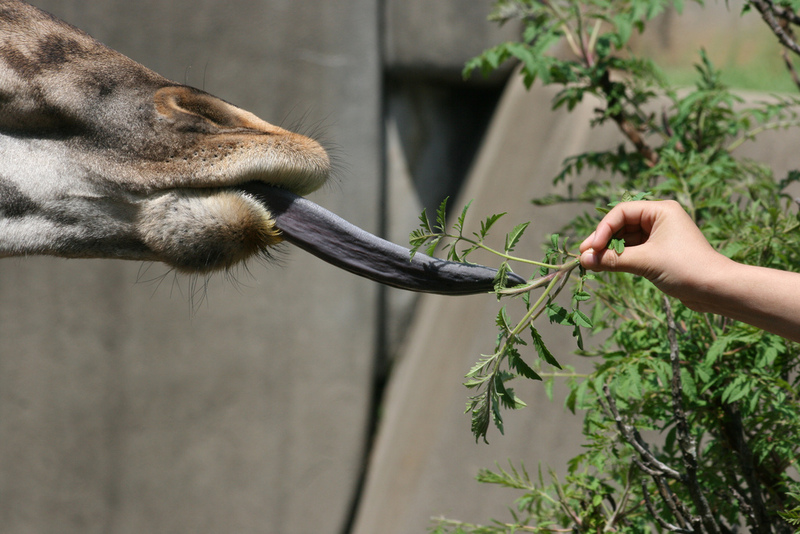 One other cool thing about giraffe tongues: They’re approximately 18″ long!